Lugarde Bonaire Log Cabin: The Lugarde Bonaire Log Cabin is pure luxury and is perfect as an extension to the home. The Lugarde Log Cabin is made from superior timber and the craftsmanship is evidence in it beautiful appearance. The Lugarde Bonaire Log Cabin come with 2 casement windows, 3 folding doors and includes the veranda which is ideal for lazy afternoons in the sun or shade. 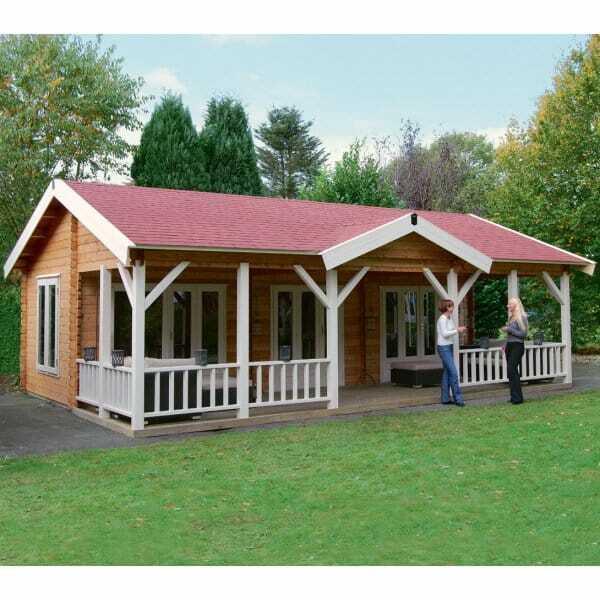 The Lugarde Log cabins, holiday homes and summer houses can be adapted to your needs if required example if more windows are required or less or internal walls are required and so on please ring Simply Log Cabins for more information.